One of poker's most charismatic men will become the focus of a new online documentary courtesy of his sponsor, PokerStars. 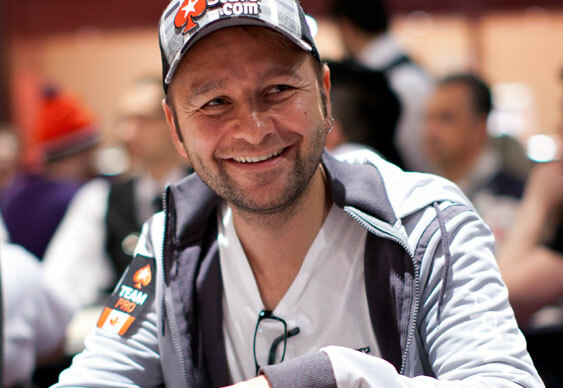 Entitled 'Kid Poker', the profile piece will track Daniel Negreanu's poker career and get his take on how and why he's reached the top of the poker world. Featuring testimonials from a plethora of leading pros, PokerStars promises to give the most complete account of Negreanu's life as possible. As yet the release date for the film hasn't been announced but a trailer was published online over the weekend. During the two minute teaser we hear from Jason Mercier, Phil Ivey and Jennifer Harman as well as the man himself. Moreover, we see clips of Negreanu in his youth while he explains his rise from being a cocky kid in Canada to a humbled man in Las Vegas. Given that Negreanu is by far the most marketable poker player in the world, PokerStars will be hoping the documentary inspires a new raft of people to take up the game. While Kid Poker's story may not have the same Hollywood underdog feel that Chris Moneymaker's once had, the way in which Negreanu describes his journey should serve as an inspiration for all those who watch the documentary. To whet your appetite and give you a glimpse into Negreanu's world, check out the trailer for Kid Poker below.